Learn more about author, Katie Hamstead. What I loved about this novel was the conservative, eighteen-year-old Donna knows that she doesn’t quite fit in with her wild peers. However, she finds a more confident, brave version of herself when she is transported back in time to ancient Athens. 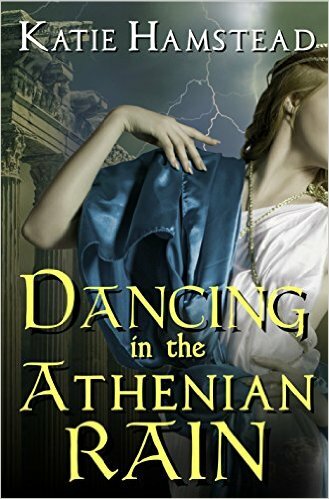 Donna struggles with certain aspects of Classical Athens society, including ideals of marriage, women as property, slavery and desired luscious feminine curves. But, during this ancient time, she manages to find true love, burry insecurities and become somewhat of human rights idol. I did have some problems with the writing and story. In her modern time, Donna suffers abuse from her friends, boyfriend and parents. However, I find the writing to be a bit over-the-top, and the scenes a little too sensational. Hamstead missed a great opportunity to capture how verbal and physical abuse can destroy a young woman’s self esteem, as well as the difficulties to rebuild confidence. Additionally, I thought the ending was abrupt and forced. However, I would say it’s a really enjoyable read. Overall, I would rate this book a 3.25.